Thos of you who have ordered the watch introduce yourselves here… let's find out where they are all going…and who gets what number..? So, I'm the second to post. Well, I suppose it's relatively fitting, although the honour should probably go to @StampeSV4. Fast forward a few years, and ATG announces that it's managed to persuade Nick / Giles to actually put our little pipedream into production. We even had a launch party at the Bremont Boutique last year, where we finally got our grubby mits on the prototype model (apologies for the photo - I forgot to take a camera). I've had my name down since the watch was announced. Can't wait to get my hands on the finished article. Alistair sent me one of his large, leather pilot's straps to try: it's a marvel of leather and stainless steel. Chunky, but surprisingly comfy, I was intrigued by the design that allows it to be easily adjusted with one hand. 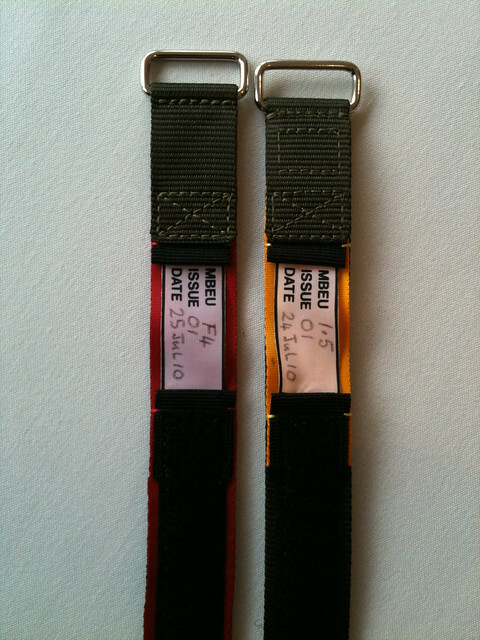 There was another strap that might work well - this was a prototype by GasGasBones using nylon and parachute silk. Wonder if we can persuade him to make a few? Like most here I have always loved watches. From sneaking a look at my hidden Casio Christmas present through to early bling Seiko's and on to my first 'serious' purchase of a Tag Heuer when I started to earn a salary. When many are now reaching for their mobile phone to tell the time I am hankering for something more old school. I have a more modern Tag Heuer Carrera and reach for my trusty Omega Seamaster quite regularly, but you do see them a great deal. I could go antique or really avant garde to stand out but Bremont and the S2 really tick the boxes. I love the Britishness of it, quality engineering without being brash (for that go for Breitling). I do go out in the great outdoors, but also earn a crust in corporate life. This brand and model works for both. Alistair and Bremont have created a watch that looks fantastic and for a price that seems very reasonable considering the quality and low production numbers. Last edited by ATG; 21-11-2013 at 18:53. I couldn't agree more Steve…. all my ideas are just that… A.. This is great news. As Mat said above, we have been waiting for this watch for a long, long time. Years ago Al' started a thread asking which Bremont watch we would like to see made and this S2 LE Black was our response. The S2 is the real sleeper in the Bremont range but this LE may well make people appreciate just what a clever piece of design it really is. 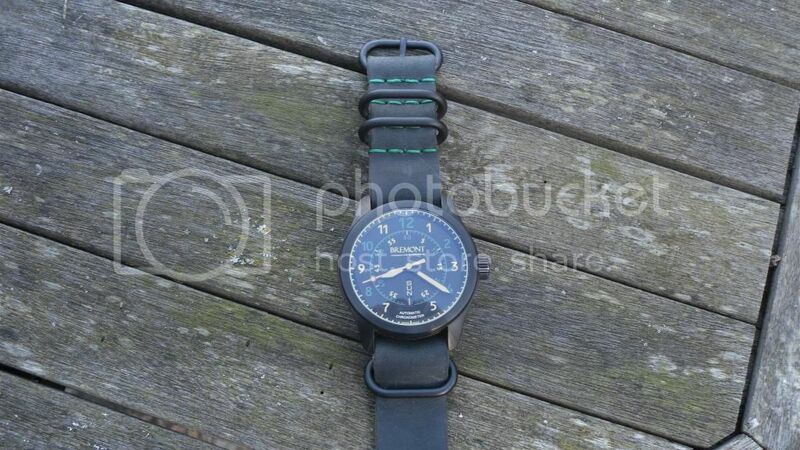 Out of all the Bremonts, this black and green dial S2 looked the most like an aircraft instrument and with a black case, it willl look almost as if it has just been removed from an aircraft cockpit. The other great thing about this watch is that I see it as the perfect compliment to the EP 120 - the two watches will make the perfect Bremont pair. A lot of work has gone into this watch, I gather that the black crowns have been extremely difficult to produce. I know that Mat will be delighted with the black date wheel. I have not seen the pilot's strap yet but if the quality of Al's previous straps is anything to go by, it will be excellent. The sword hands are another great detail - I think those were Dave S's idea? Who knows, maybe in years to come people will think of this watch as a sort of Bremont Milsub? I also like the fact that the watch will still have the old Bremont style of logo on the dial, again linking it with the EP 120. Hurry up and build them please! Their was no way greenburger was going to get away with being the only member of the green clan to own an s2 so just to ensure I got my hands on one I had to go for number 9. It's not one upmanship just the house number of our house growing up. I am really looking forward to getting this and it will be a daily wearer for me. As much as I love the codebreaker and victory at 12k it's to rich for me. 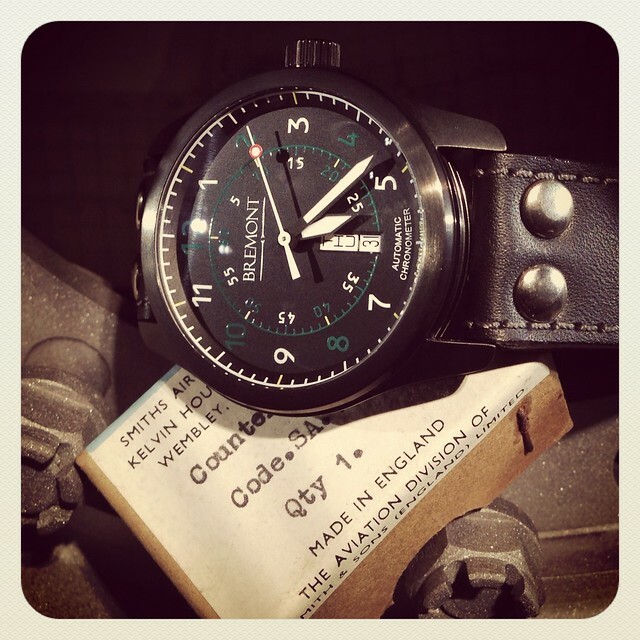 I want to thank Alistair for his hard work bringing an affordable ltd bremont to the working man. To have a unique item few are able to get makes this even more special. ...and StampeSV4 completes the limited edition of just 5. As the newest member of this very small group I guess I should post. Mark here the proud owner of 00/50 the development watch. All times are GMT. The time now is 02:28.